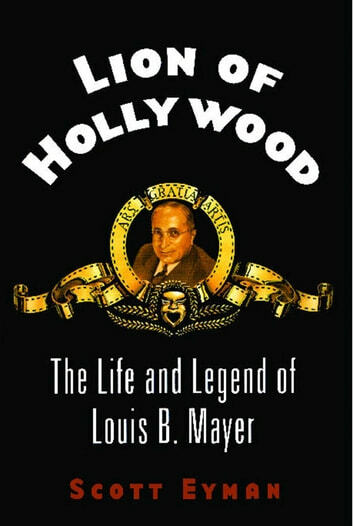 Lion of Hollywood is the definitive biography of Louis B. Mayer, the chief of Metro-Goldwyn-Mayer—MGM—the biggest and most successful film studio of Hollywood’s Golden Age. 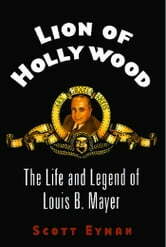 An immigrant from tsarist Russia, Mayer began in the film business as an exhibitor but soon migrated to where the action and the power were—Hollywood. Through sheer force of energy and foresight, he turned his own modest studio into MGM, where he became the most powerful man in Hollywood, bending the film business to his will. He made great films, including the fabulous MGM musicals, and he made great stars: Garbo, Gable, Garland, and dozens of others. Through the enormously successful Andy Hardy series, Mayer purveyed family values to America. At the same time, he used his influence to place a federal judge on the bench, pay off local officials, cover up his stars’ indiscretions and, on occasion, arrange marriages for gay stars. Mayer rose from his impoverished childhood to become at one time the highest-paid executive in America. Despite his power and money, Mayer suffered some significant losses. He had two daughters: Irene, who married David O. Selznick, and Edie, who married producer William Goetz. He would eventually fall out with Edie and divorce his wife, Margaret, ending his life alienated from most of his family. His chief assistant, Irving Thalberg, was his closest business partner, but they quarreled frequently, and Thalberg’s early death left Mayer without his most trusted associate. As Mayer grew older, his politics became increasingly reactionary, and he found himself politically isolated within Hollywood’s small conservative community. Lion of Hollywood is a three-dimensional biography of a figure often caricatured and vilified as the paragon of the studio system. Mayer could be arrogant and tyrannical, but under his leadership MGM made such unforgettable films as The Big Parade, Ninotchka, The Wizard of Oz, Meet Me in St. Louis, and An American in Paris. Film historian Scott Eyman interviewed more than 150 people and researched some previously unavailable archives to write this major new biography of a man who defined an industry and an era.